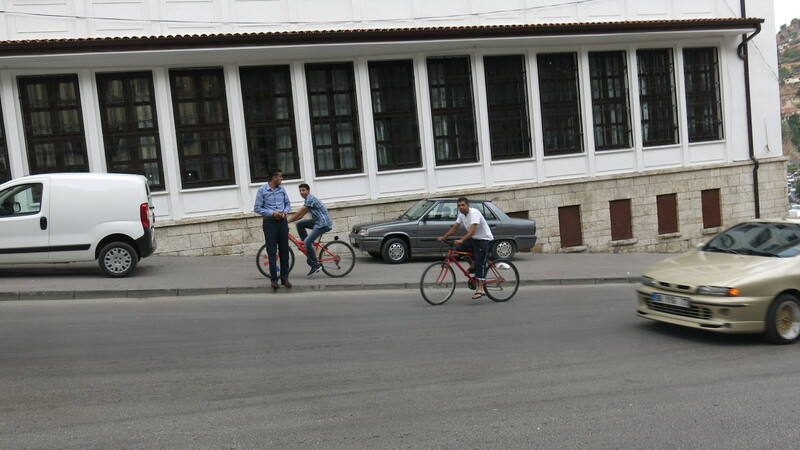 I would like to expand on an issue I brought up in my last post – cycling (or the lack thereof) in Ankara. After buying a bicycle in Ankara I ended up hitting the streets of Ankara most days and I slowly learnt to be more comfortable on the roads. 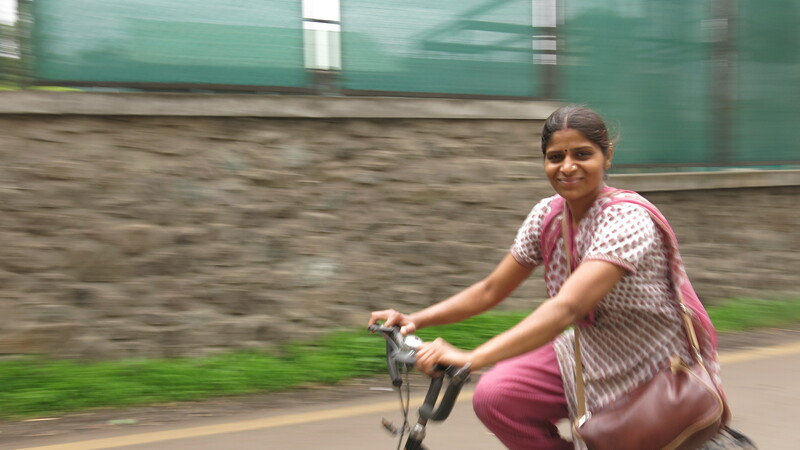 I saw the occasional cyclist, I got to know how to get around and I had some lovely interactions with various road users while I was on my bike – I started to remember the joys of riding rather than being always on edge. I met other people who also rode bicycles and they told me of the freedom it brought them, even within the struggles of Ankara’s traffic. This brought me hope, and I felt like the feelings for cycling we were having could become contagious, with a little help from some cycling promotion and infrastructure from the local council. At a personal level I could see a glimpse of momentum for cycling in this city, where I had felt nothing at first. Along with my casual/normal riding, I also participated in a weekly group ride and witnessed a demonstration of the dangers of cycling. Both events were influenced by the recent death of two cyclists, killed in separate incidences where attitudes and awareness of cycling in the motoring community were to blame. It was an interesting experience for me to see these gatherings of cyclists in a city where I had struggled to see any presence of cycling. My instant reaction to seeing everyone gathering for the group ride was glee. It was great to see so many people caring about the conditions of cycling and other members of the cycling community, and for them to be taking the opportunity to ride together. I liked that the group was showing the rest of the people on the road – walkers, drivers, bus catchers, everyone – that cycling was possible, it was something people were keen to do and most importantly our smiles showed that it could be fun. However, amongst the beauty of seeing so many people out on bikes together there was an emphasis on the dangers of cycling. I could understand why they made the weekly group ride a memorial to the cyclists who had died and it was nice to show our respect while joining together to ride. However, the demonstration which occurred the following Sunday made me feel ill-at-ease. There was a theatrical performance in the park which involved people lying down pretending to be dead and injured. Everyone who joined the demonstration were told to wear black and show sombre faces (no smiling or laughing). I tried to gather what messages would come form such a demonstration. There was a great turnout of people, so the first message was a support for cycling and the improvement of cycling infrastructure and culture to reduce the dangers of cycling. But amongst this, I cannot help but feel that this demonstration was increasing the sense of fear the community has to cycling and reducing the images of fun and freedom that are part of the psyche of almost everyone I have met who rides in any city in the world. So, I guess a starting point for community demonstrations about cycling should be what messages need to be portrayed to politicians, bureaucrats, people already cycling and the community at large. Ankara has a huge way to go to make the streets safe and fun for everyone to ride but is it responsible to emphasise danger and give people a reason to fear cycling? I think the importance of improved infrastructure needs to be in the minds of the bureaucrats, the economic, social and environmental benefits of cycling need to be drilled into the heads of the politicians and the community need to see that cyclists are humans like everyone else. 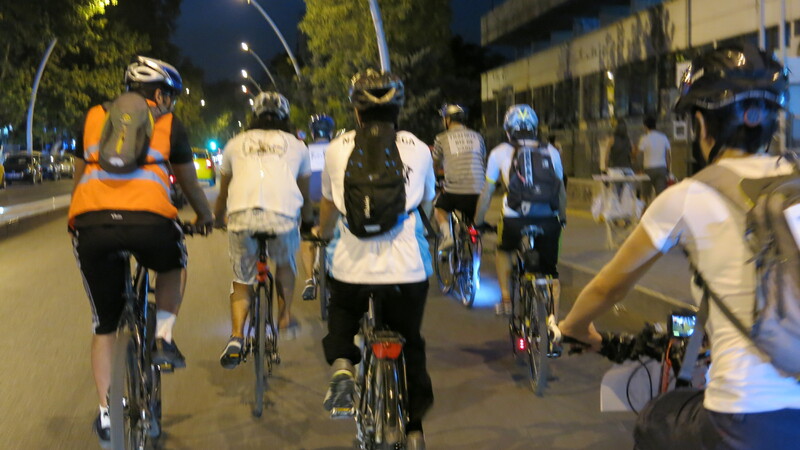 Everyone in the city of Ankara has to believe that they could one day ride in their city, and that when they are using the streets they should be looking after everyone that is sharing it with them, including cyclists. These are just my thoughts – I know it’s a tough moment – when drastic changes are needed and cycling is such a marginal form of transport, that it seems easier to ignore it, but once things turn around and the momentum starts, I think it will be so worth it! In my spare time over the next couple of months, I would love to be involved in developing a cycling strategy for this city. If anyone has any information or ideas to help me, please get in contact. Let’s see what we can do. 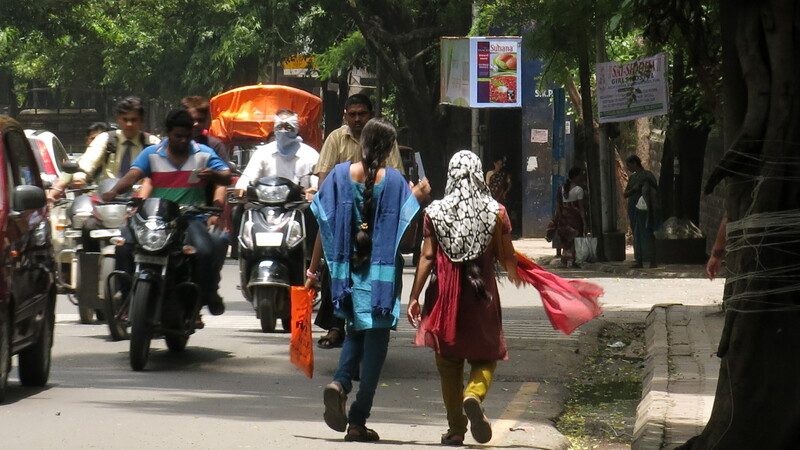 Is the transport in india a cross between Vietnam and Kenya? What a ridiculous question to ask, but sometimes I think these things. Sometimes I am amongst the various wheeled objects on the road and I feel like I could be anywhere. People are pushing forward in one way or another, there is noise, vehicles, movement and bitumen. But maybe this is just me trying to reduce the beauty and culture of the road to something I don’t have to think about, because to be honest there is just too much to think about. Subtle difference are everywhere but some of them are so hard to explain and that’s why I’m going to have to try and show you in a film instead (and then perhaps you can explain them to me after) :P.
Beyond the physical appearance of the people, the vehicles and the streets, it is what is going on in people’s head that seems so diverse. In India I found a place where people seem to be in touch with how they are feeling and relating to their environment and community. This consciousness which I had only had glimpses of in other countries, was both beautiful and a little intense. While I did see some people have little realisations while I was asking them about how they felt on transport, for many it seemed to flow from them naturally, like it was something they had already thought about. People would be considering the whole transport system as well. This happened both at a strategic level and a street level. 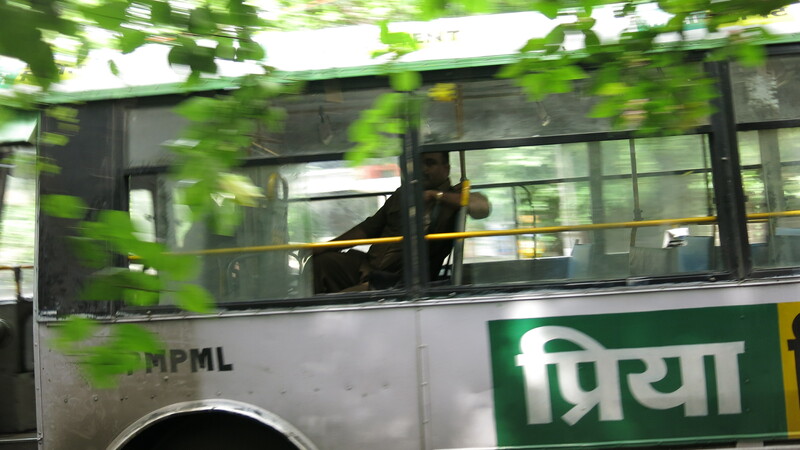 Interviewees were keen to describe Pune’s transport, the changes that have happened and potential ideas for the future. 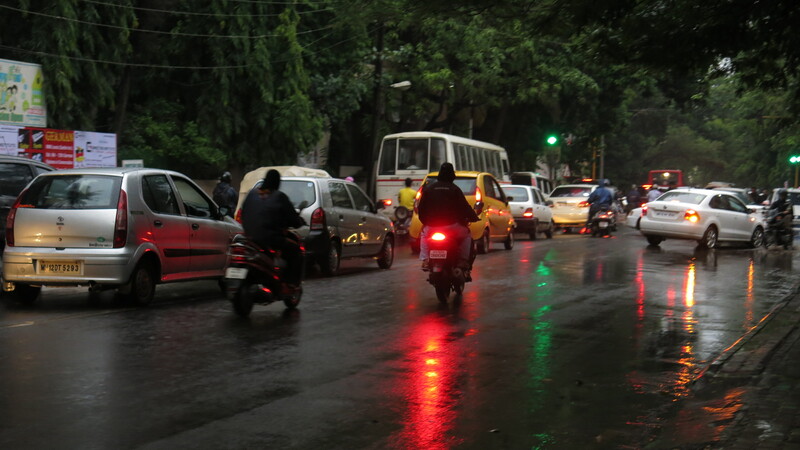 The people of Pune were also willing to help others get out of ridiculous intersections, which were like a computer game that involved reversing multiple vehicles, putting steering wheels into full lock and directing traffic to come within a millimetre of others. People literally got out of their vehicles to solve the puzzle and get the traffic moving again. So people do think about other people on the road from time to time. It is not all a self-centred race to wherever they need to get to. In Hanoi and Qingdao I feel like these considerations of other people also happen but at a less conscious level. But in every city I have visited there is definitely a lot of reflection that takes place on transport. When I asked what people think about while traveling around their city, people would often describe thoughts that go beyond the mundane. While in transit people have time and space to think and their environment, the dynamics and the community gives them inspiration to bring back memories, solve problems and perhaps dream or plan their future. Seeing people of different walks of life were reminders to think about family and friends that you might not give the time to. One girl told me that sometimes when she would see an old woman on the bus it would remind her to talk to her grandma more often. 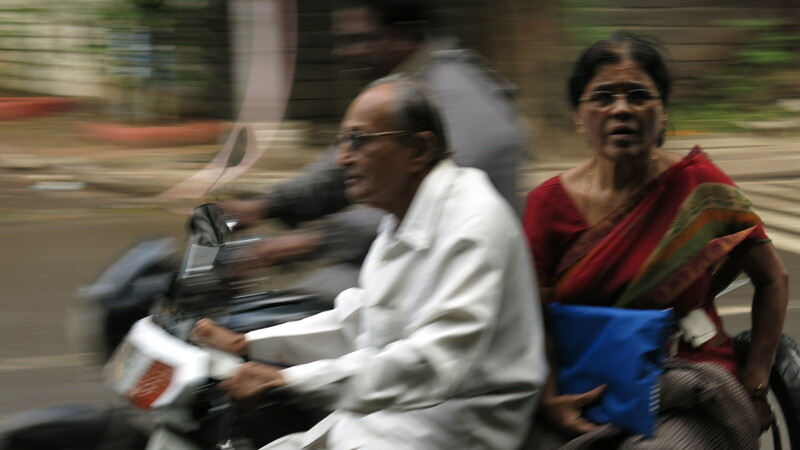 A motor bike rider in India said he preyed when he passed temples, while another told me she thought about the environment as she passed beautiful nature on her bike. There is also the opportunity to clear the mind while traveling. 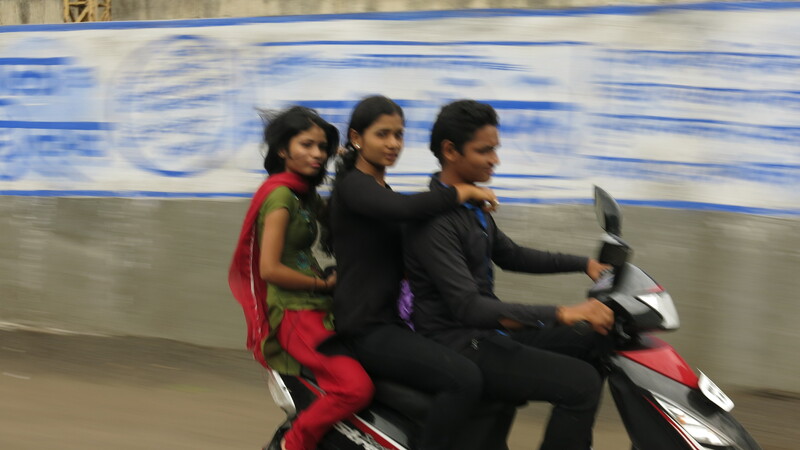 The speed and intensity of riding a motor bike has allowed people to ‘breath’ after a stressful day at work. I guess the bus feels like a cocoon to others as they just let the world pass while they are protected and passive to it. I guess I am having the most distracted and distorted mind of everyone as I travel trying to understand and capture the experience of transport. However, I have to admit that I too feel my mind becoming free while I glide through traffic in one form or another. 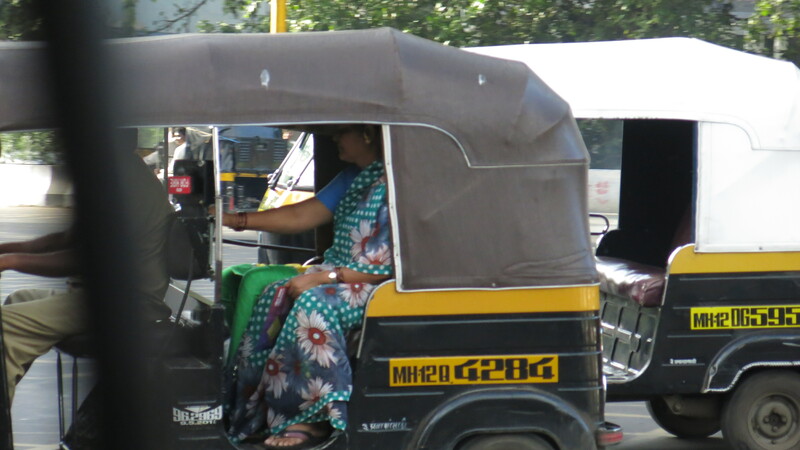 So I’ve arrived at Pune, after two planes, an overpriced taxi, a very crowded bus, a rickshaw, a leaking bus with Bollywood films being screened and finally two more rickshaws (with rickshaw drivers who tried to avoid using the meter). But it’s worth it. It is a beautiful lush city where I still don’t feel like I’ve seen the stress or sterile streets that one usually finds somewhere in a city. I will keep looking, but for now it just feels like Pune is one large town. There are old buildings and tree lined streets. Sidewalks are filled with trees, vendors and people from all walks of life. The streets in general are full but they seem manageable. They certainly keep your senses on the move as most vehicles are open to the smell of food, animals and whatever else is meandering down the street in one form or another. You can also feel and hear sound everywhere. 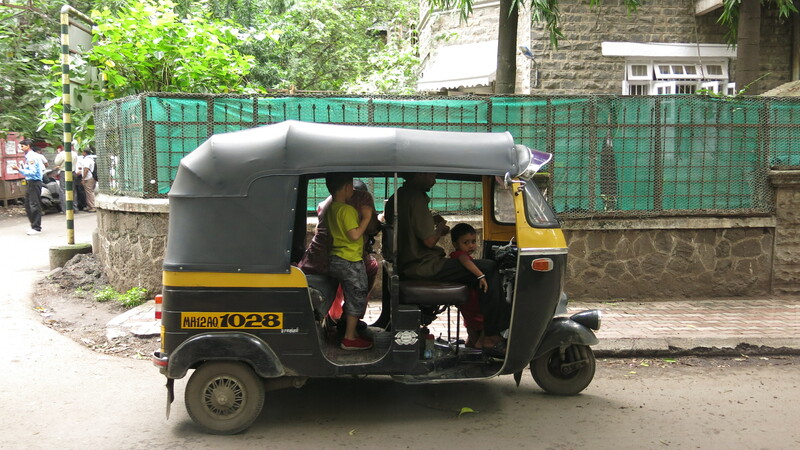 In a rickshaw you feel like you are encased in the sound and vibration of the engine as it feels like they are ricocheting of every flimsy surface (it’s not surprising to see roofs taped together) the rickshaw has to offer. But to your sides you won’t find any walls, only the motorbike rider who feels closer to you than a passenger would be to a driver in a car. You can see the movement of the road below you and the interesting landscapes of the road, with ponds forming with the monsoon rains. 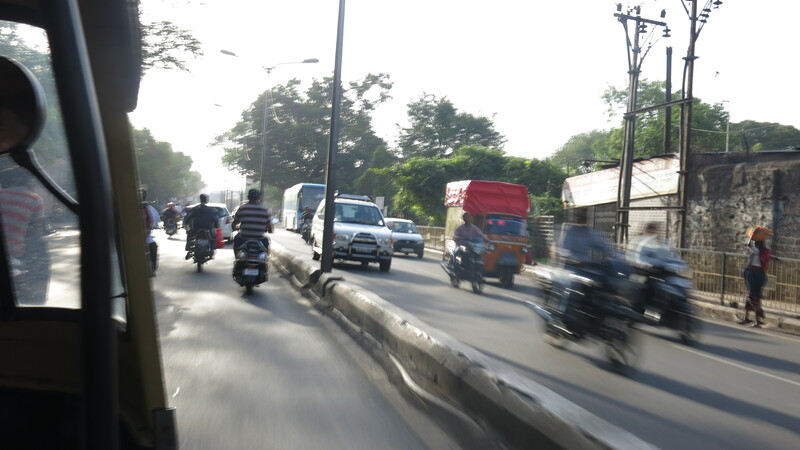 The state of the roads in Pune is highly variable. While some roads are pothole laden and could be used as mountain bike course, other roads are very smooth and there are even some dedicated cycle lanes. Pedestrians are given a high gutter to separate them from any keen motor bikes that might want to escape the traffic for higher ground. But then sometimes there are no footpaths at all. Then there are intersections – those amazing places where traffic literally has to find it’s way to where it wants to go. Sometimes this doesn’t just involve the co-operation that I think is such a lovely part of the transport wherever it happens, it also involves strategy and a tactical discussion between drivers, riders, pedestrians and maybe a local guy who decides to come along and help the traffic clear through his neighbourhood. I was happy when I was riding my bicycle the other day and a guy on a motorbike commended me for stopping the traffic to let a car through, which was blocking up the whole intersection. It’s nice to know that there is encouragement for good behaviour on the roads (and good behaviour doesn’t just mean stopping at red lights).